Paul Pogba has been under the spotlight this season - but how does his form with Manchester United compare to his form for France? The midfielder was one of France's top performers as they won the World Cup in the summer, but has struggled to consistently deliver with Manchester United. Pogba came to the rescue before the international break as United fought back from 2-0 down to beat Newcastle 3-2 at Old Trafford and lift some of the pressure on manager Jose Mourinho. Pogba was at his mercurial best to drag his team to three points and, in the process, bring to an end a four-match winless run in all competitions. Pogba was named the WhoScored.com man of the match with a 8.23 rating. He, along with his United team-mates, flattered to deceive in a dismal opening 45 minutes, but he upped his game to drag his team over the line at the death, providing the assist for Anthony Martial's equaliser in the process. 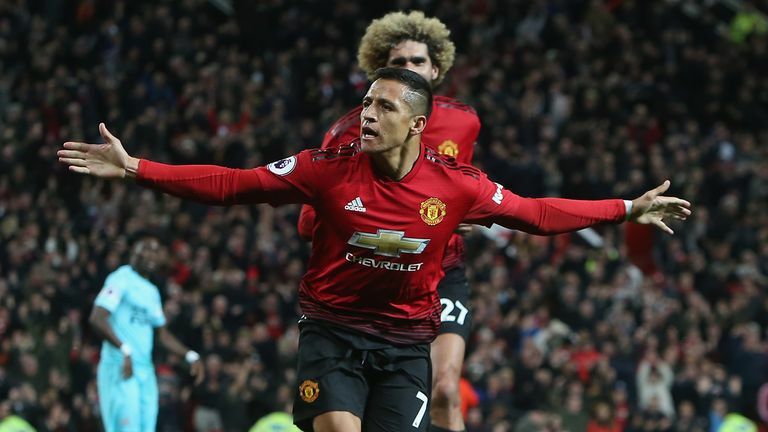 His performance in the eventual win over Newcastle was his 16th-highest-rated league showing in a United shirt following his big money return to Old Trafford back in 2016. For the amount of money spent to secure his services two-and-a-half years ago, United might have expected more consistency, but are Mourinho's regimented tactical plans part of the problem? Pogba still has an average WhoScored.com rating of 7.42 at this point of his third league season with United, though that has progressively dropped since his second campaign at Old Trafford. He may be the club's highest-rated WhoScored.com player this term, but he has still garnered just a 7.07 rating, which falls way below the standards expected of a player of his calibre. Indeed, part of the problem has been the inconsistencies of his performances. For every match-winning display, Pogba seems to put in a damp squib of a showing. Yet, when he is on song, he's more of a help than a hindrance to the team, as he has shown with France. Can Chelsea pile the pressure on Mourinho? Pogba's move to United followed a successful Euro 2016 for France, at least from a personal perspective, with his WhoScored.com rating (7.46) enough to rank among the top 15 players at the tournament. Returns of 2.7 tackles per 90 and a 88.3 per cent pass success rate at France 2016 were also higher than in the Premier League, continental or international competition. It was a similar tale for the midfielder at the 2018 World Cup, where he returned a WhoScored.com rating of 7.49 and netted in the 4-2 final win over Croatia. It was here too where his dribble success rate (80 per cent) was also highest of his recent outings for club and country as he burst past opponents with ease. "I think the World Cup is the perfect habitat for a player like him to give their best. Why? Because it's closed for a month, where he can only think about football," United boss Mourinho said of Pogba at the end of July. It's true, where in competition football, the stakes are higher and players can thrive in these pressure-cooker situations, with Pogba one who excels when there is more riding on a match. It's not just with France either, but for United in their successful 2016/17 Europa League campaign, Pogba's first following his return to England, saw him end the tournament as United's highest rated player with a WhoScored.com rating of 7.74. His highest rated competition since the summer of 2016 comes in this season's Champions League, where he has gained a 8.18 rating and returns an average of 3.8 key passes per 90 minutes. United may have faltered against Valencia, but in the win over Young Boys, Pogba was very much at his best. Who makes your Sky Sports Six-A-Side team? There seems to be some truth behind Mourinho's comments about Pogba excelling for France at the World Cup, when he was subjected to wall-to-wall football for the best part of six weeks, and with greater onus on having to win to progress. The 25-year-old shone in such an atmosphere, even allowing for Didier Deschamps' rigid style of play. He may not get the goals and assists that he does for his club - at Euro 2016, the 2018 World Cup and the UEFA Nations league to date, Pogba does have just two goals to his name, which means he is having a direct hand in a goal every 705.5 minutes - but he ranks highly for tackles, pass success rate and dribble success rate. As 3.8 key passes per 90 in the Champions League also shows, it adds to the idea that the midfielder is the ideal big game player. So it's not merely the case that Pogba is a better player for Les Bleus, but instead that he seems to thrive in a high-pressure environment and produce his best form. 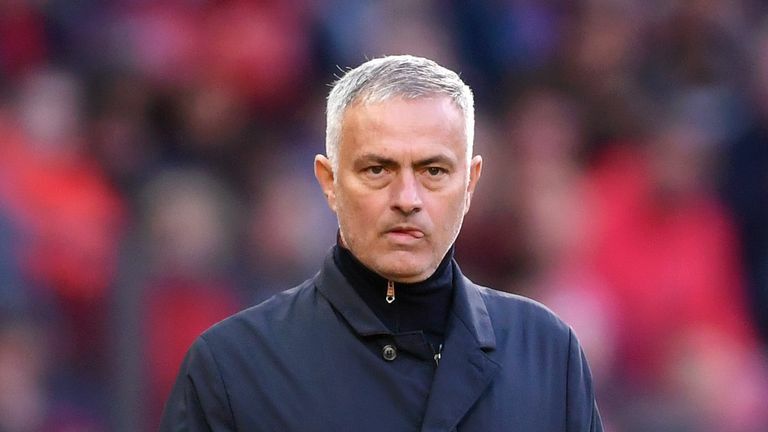 United travel to Chelsea on Saturday, live on Sky Sports, having not won at Stamford Bridge since 2012, and Mourinho will be keen to drill into his players the importance of the Premier League encounter. Pogba's only league outing at Chelsea following his return to Old Trafford came in 2016, where he landed a WhoScored.com rating of 6.80. That is his seventh lowest in an away league outing following his Premier League return, so Mourinho will be hoping for better this weekend. Get the dedicated Sky Sports Premier League channel to see Chelsea take on Manchester United. Find out more.